President Trump is poised to bring massive changes to U.S. monetary policy with his nominations to the Federal Reserve’s Board of Governors, along with his Fed chair nomination to replace Janet Yellen. But these changes could be problematic if your savings are caught unprepared. Every president gets the chance to influence Fed policy through nominations to the central bank’s Board of Governors. However, that chance is typically limited to a small handful of nominations — two or three maximum, including a nomination for Fed chair. But President Trump is getting a much larger opportunity to influence the Fed with his nominations. In addition to his upcoming nomination to replace Fed chairwoman Janet Yellen, Trump will also appoint four new members to the Fed’s Board of Governors. All said, that means Trump will appoint five of the seven total members on the Fed’s governing board before the end of his first year in office. The last time a president had this much power over the Fed was nearly 100 years ago during the Woodrow Wilson administration. 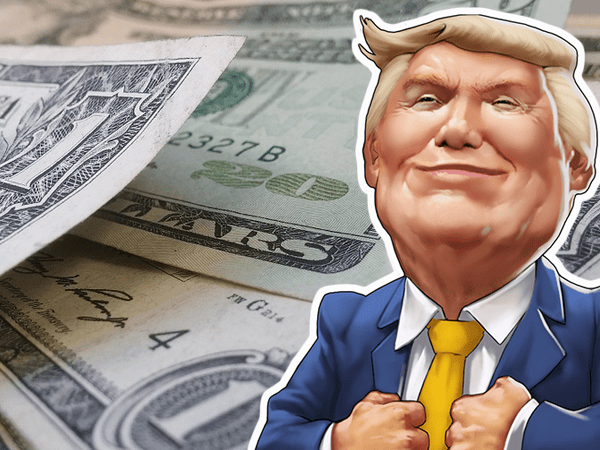 Trump Picks to Bring Next Inflationary Cycle? According to multiple sources, Kevin Warsh is currently the obvious frontrunner as Trump’s replacement for Fed chair Janet Yellen. And if Warsh does end up leading the Fed, it’s safe to say he’ll have a heavy hand in the rest of Trump’s central bank nominations. Here’s why that’s important: Warsh reportedly holds a more “pragmatic” view in respect to continuing the easy monetary policy we’ve been struggling to pull ourselves out of for the past couple years. Instead of risking the consequences of tightening policy into economic weakness — which the Fed has attempted and failed at in recent months — Warsh would likely return us to the realm of near-zero rates and Quantitative Easing (QE). That said, a new team of Fed officials with a penchant for easy monetary policy would only mean one thing… the beginning of our next major inflationary cycle. 1) National Debt – U.S. lawmakers have one big, obvious reason to want a significant uptick in inflation, and that’s the national debt. Inflation helps the government service its debt around the world. And considering our current debt-to-GDP ratio is over 105%, it’s no surprise politicians are pushing to stack the Fed with pro-inflationary officials. 2) Trump’s Personal Agenda – After criticizing Yellen and her policy decisions throughout his campaign, Trump has now gone on record saying he thinks the dollar is “too strong” and that he’s a “low interest rate person” like Yellen herself. 3) Failed Fed Strategy – The Fed has already tried to pull back on its easing policies from our last crisis, by “normalizing” interest rate policy and unwinding the Fed balance sheet (which is grossly inflated as a result of massive QE). But the economy isn’t responding as planned. Trump’s new Fed officials will likely abandon normalization — regardless of how necessary it is for long-term economic viability — in favor of predictable, easy monetary policy that will skyrocket inflation. So what should Americans do to prepare their savings before Trump’s new Fed nominations set off a new round of inflationary policies? Investing in the market carries excessive risk, while “safer” investments offer paltry returns. And leaving your savings in cash simply guarantees the erosion of your spending power. But one asset gives you a way out: physical precious metals. Precious metals like gold, silver, and platinum thrive during times of major inflation. And owning these metals ahead of Trump’s big Fed regime change could be an extremely wise decision.